Eight years ago, a 9.0 magnitude earthquake shook their world, even shifting the main island eight meters eastward. With frequent aftershocks, the decision to flee or remain seemed surreal for anyone living nearly 1 kilometer from the ocean. Our next door neighbor recalled how she was talking with friends on the street. They chose to gather in a plastic greenhouse for safety from the earthquakes. She ran to the second floor of her home. In just minutes, the tsunami washed her friends away. Another nearby elderly couple without a car heard a warning to flee. They climbed the trees next to their house. Reaching the roof of their 1 story home just as the tsunami hit, they clung to the trees and the edge of the roof for hours before rescue. Mrs. I., seeing the black wall of sea approaching, barely made it to her second floor. From across the street, she heard the cries of kindergarteners as the roar of the tsunami approached. Two buses were swept up holding 51 children; amazingly, as the 1st wave pulled back, teachers were able to lead many children to safety on the 2nd floors of nearby homes: eight children and one teacher were lost. Mrs. K., whose home was across from a nursery school, watched in horror as 27 teachers and children attempted to flee; some escaped by car and others by foot to nearby 2 story buildings. Three children were loaded into a car only to be lost in the tsunami. Two couples agreed to stay at their homes while a third couple fled in their car. The first couple made it safely to the 2nd floor. The husband of the second couple rushed inside believing his wife was behind him only to realize she hadn’t made it. He could see her caught on something with the tsunami approaching. He ripped down the curtain rod and passed it down to her to grab onto, but was unable to reach her without falling into the now flooded area. He and the neighbors watched in despair as she drowned. These are but a few of the images indelibly imprinted in the minds of Yamamoto residents. Every home in Yamamoto sustained damage, nearly half were a complete loss, and 680 of their family, friends, and neighbors lost their lives. The town’s population was reduced by 25% in the aftermath. Continuing reconstruction of homes and roads is a constant reminder that life will never be the same. Yet, it is the March 11 anniversary which grips everyone with the stark grief of the loss of life and the overwhelming sense of helplessness felt that day and in subsequent years of recuperation. Depression is rampant. One widow said her doctor gives her sedatives at this time every year. Another friend who lost her son withdraws from daily activities as March approaches. These people need to know their Creator, his forgiveness and healing love. God granted to each of these to live another day to hear his Word. On Monday, many in the community prepared to welcome back the spirits of the dead and to comfort them by setting out lanterns and praying to the dead. 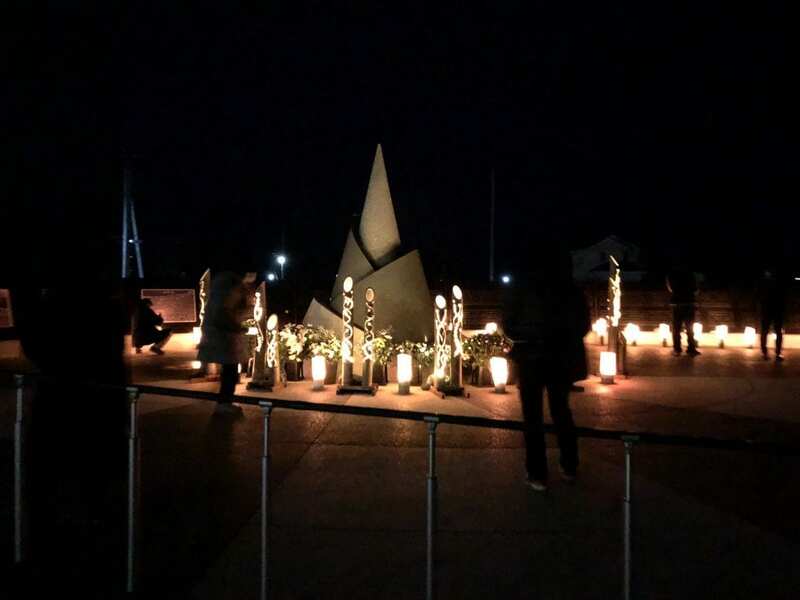 In the midst of a freezing cold rain, some gathered at the memorial wall nearby which lists the names of the lost; others in a city pavilion farther away. Yet, they have no real hope to offer and none to receive. At Nozomi Church, we welcomed Yuri Mori (a nationally renowned Christian singer) for a memorial concert. Despite the cold rain, 28 people did gather including new guests we had never seen before. 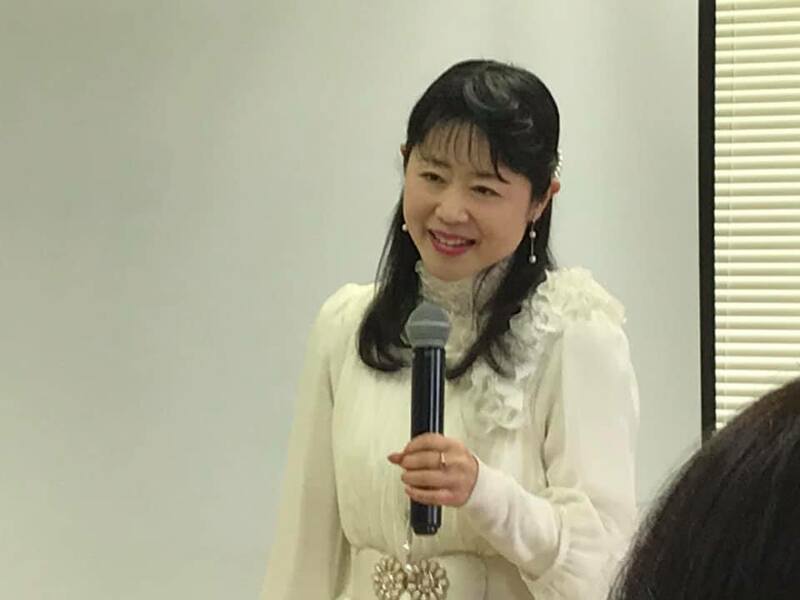 Miss Mori conveyed how she understood their struggles (having visited many disaster centers including Yamamoto) and how she herself had lost her younger brother in the 1995 Kobe earthquake. Speaking of how precious their lives are, she encouraged them to cry and grieve, but also to know that their Creator knows their grief well. And, many did cry, not something stoic Japan encourages. She spoke and sang of the God who loves and forgives us through Jesus Christ, encouraging them to trust in him. All who attended were touched by her music and warm love. Praying together was an opportunity to bless these dear people who have not known a personal, loving Creator God. This is the hope they so desperately need. We thank those who pray regularly for Nozomi Church and for all the people of Yamamoto. 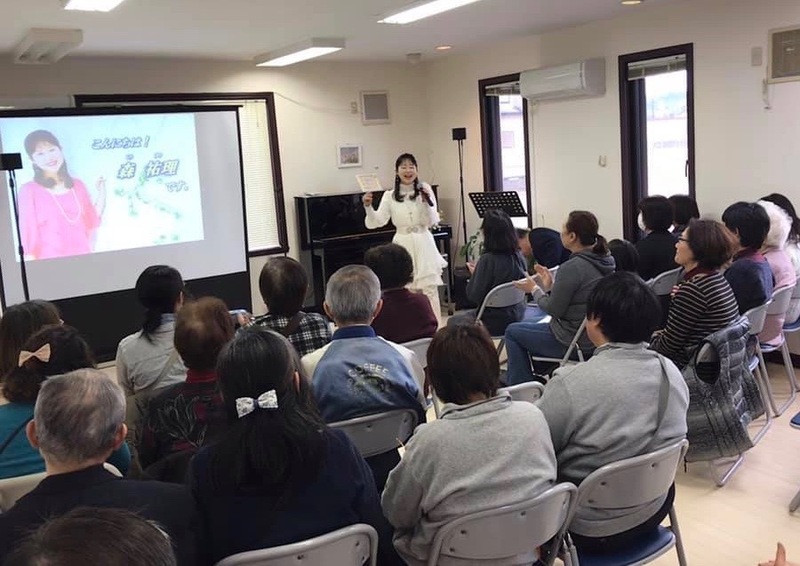 Tomoko Sugawara, our Christian staff worker, said, “Many people come to Nozomi as a result of the relief work. This is a miracle. They never would have come to a Christian church before this. Only God could open their hearts to listen to the gospel. I believe there are many now who want to hear what God’s Word says, and that is why they are continuing to come.” Thank you to the many OPC churches who gave generously for this work and to Dave Nakhla and the OPC Committee on Diaconal Ministries for their labors. The door remains open in this community though it is gripped by pagan worship. God will win the hearts of his people and lift up the name of Jesus Christ to be praised. That God would grant faith in Jesus to those who attended the concert and lead them to worship. That He would send new visitors to worship and Bible study. Pray for boldness that they would not fear what others in the community think of them. That God would raise up faithful Japanese pastors and missionaries to bring the good news. Thank God for our new missionary associate, SaraJean Lauer, as she begins her labors. Pray for wisdom as she prepares for her classes and begins to establish relationships with the students. For God’s abundant blessing on the Word preached. For more information and pictures, please visit www.opcjapan.com and Facebook pages: OPC Japan and Nozomi Center.